Facebook basically finds itself in a perpetual state of scandal these days. Here’s a quick primer to get you up to speed on their biggest miscues (also note the dates when Facebook released their “reports” about these various screw-ups). The company is run by a group of folks who clearly care about money more than basic morality or even Facebook’s stated mission to connect people and make the world better, and we’d all be better off if everyone deleted their Facebook. It is societal poison that brings very little unique value to the table, and its entire modus operandi is to keep you on the site as long as possible so as to farm you for personal data, all so they can turn around and sell your information to third parties. This reality was proven beyond a shadow of a doubt when Channel 4 revealed that Cambridge Analytica—the sketchy firm connected to both the Trump campaign and Brexit—exploited Facebook’s unchecked vulnerabilities to steal data from millions of people. It is unclear what, if any, legal moves Facebook can make to prevent publication. UK, Canada, Ireland, Argentina, Brazil, Singapore and Latvia will all have representatives joining what looks set to be a high-stakes encounter between Facebook and politicians. 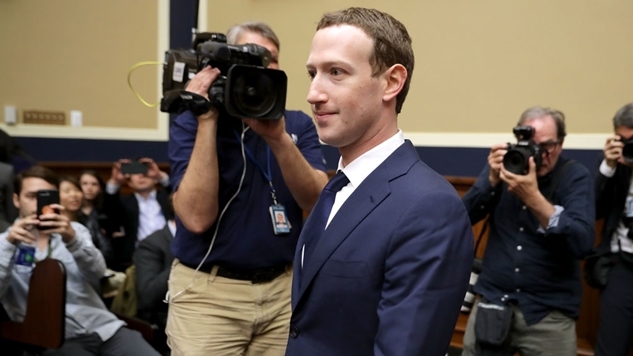 The reason why the United Kingdom’s parliament took this extraordinary step to obtain some of Facebook’s most classified communication is because Mark Zuckerberg has repeatedly refused to answer their questions surrounding the Cambridge Analytica scandal. Zuckerberg’s longtime strategy of saying nothing even when his mouth is moving may have finally caught up with him. We don’t know what is in these files as of yet, but if the mess from Facebook’s latest scandal of “we didn’t hire a PR firm to spread anti-Semitic conspiracy theories, except actually we did and it’s really no big deal” is any indication, the internal discussions of a company constantly mired in a dereliction of its self-professed duty should be quite revealing.